Perfect for kick-offs and big reveals, 416Beats tailors performances right down to clothing and drum wraps that align with theme or brand. Fully portable – no set up is required – shows are typically about five minutes and can be arranged for stage or to move throughout a crowd. 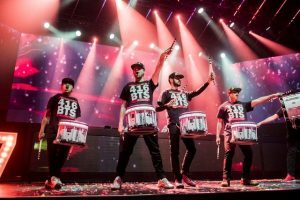 The drumline can also accompany music such as theme songs and DJs. There’s also a special-effects option with clothing and instruments lit by LED lights. McLaren, who’s played drums since he was three, also co-owns 6Entertainment, a drumline booking and creative agency.